Jacqueline is much in demand in the recording studio, singing incidental music for TV, adverts and soundtracks for over 200 Hollywood films such as Star Wars, Captain America, Pirates of the Caribbean - On Stranger Tides, Kung Fu Panda, Shrek Forever After, Megamind and How to train your Dragon. She spent two weeks in Los Angeles recording the music for Troy. She sings on the musical Nine and has recorded songs for James Horner, Eric Levi, Ennio Morricone, Debbie Wiseman and Alan Hawkshaw. TV credits include Poirot, Midsomer Murders, Taggart, Love Soup (ITV), Pepys, Innocents (C4), Father Brown, Cilla (ITV) and Galavant (ABC Network, USA). Her voice is featured in the films Fade to Black and in Lucitania: Murder on the Atlantic (BBC). 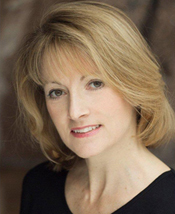 Jacqueline is a soloist on The Music of Andrew Lloyd Webber album (All I ask of You and Pie Jesu from the Requiem). She frequently works with the BBC Concert Orchestra including roles in Sondheim's A Little Night Music, Novello's The Dancing Years and on Friday Night is Music Night (BBC Radio 2). She has also recorded backing vocals for many artists including Bjork (Hidden Place), Tony Bennett, Mika, Kylie (Christmas) and Robbie Williams (Swings both Ways).